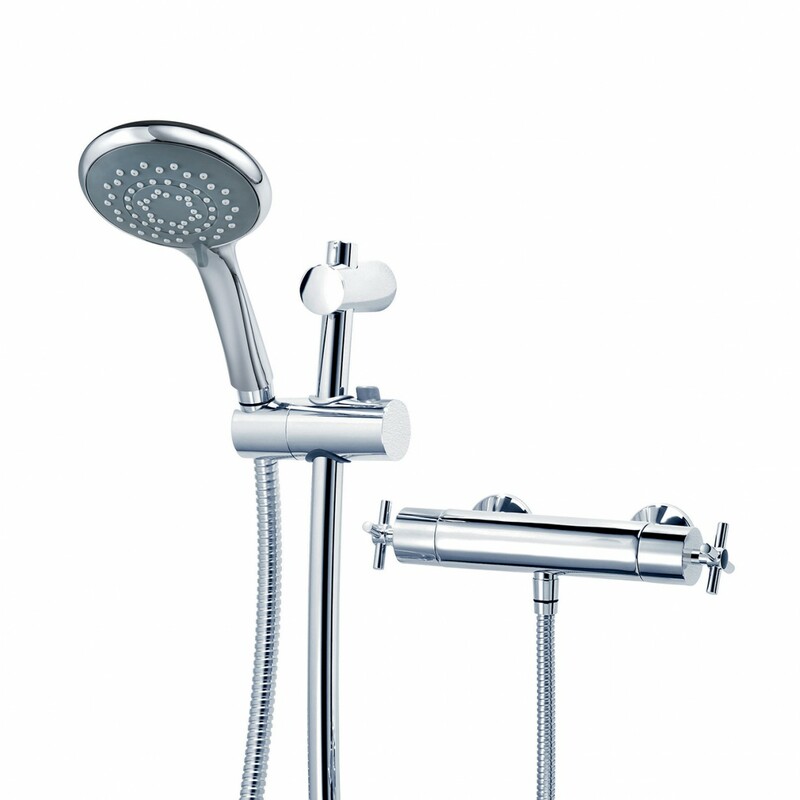 These are our premium quality Triton - STRAIGHT SWAP bar and mixer showers. 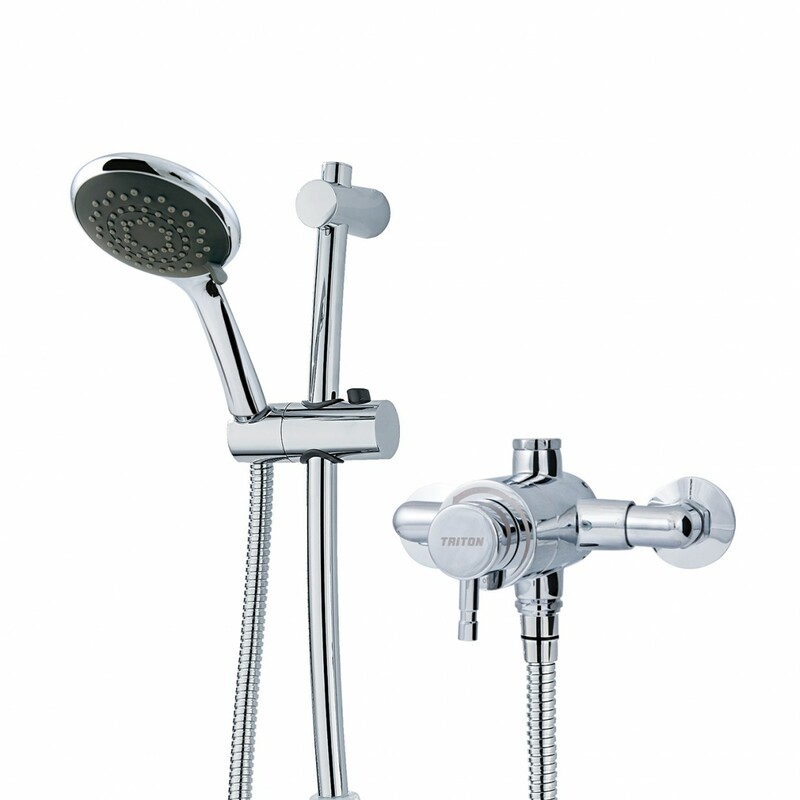 They are a straight forward replacement with your existing worn or un-repairable shower valve. They are all £267 each supplied and fitted. Last few of these PREMIUM Triton bar showers with overhead rainfall. Simple and elegant controls operate these thermostatic bar showers. These are of superb quality and will replace your current bar shower OR we can install these items from new pipe work installation. Ideal with combi boilers or a pressurised hot water vessel or a hot water cylinder with a pump. 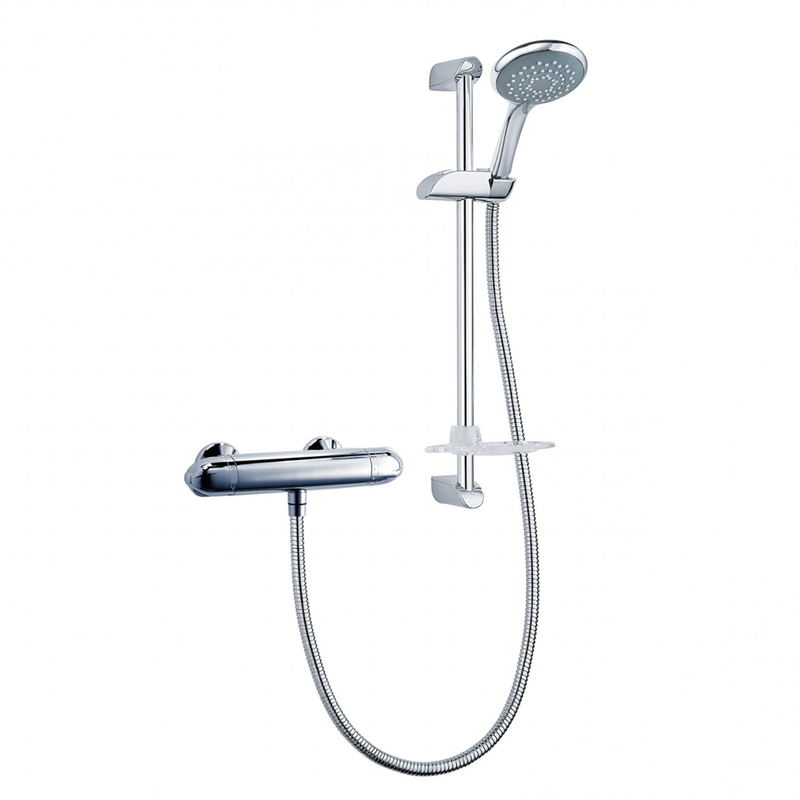 These are discontinued from Tritons current range with one year warranty therefore we discount these showers to £199 Supplied & fitted straight swap. That’s 50% OFF our previous supply and fit price. Price includes fitting to existing bar shower outlet only. New pipe work or adaptations we charge £99 - £199 extra. 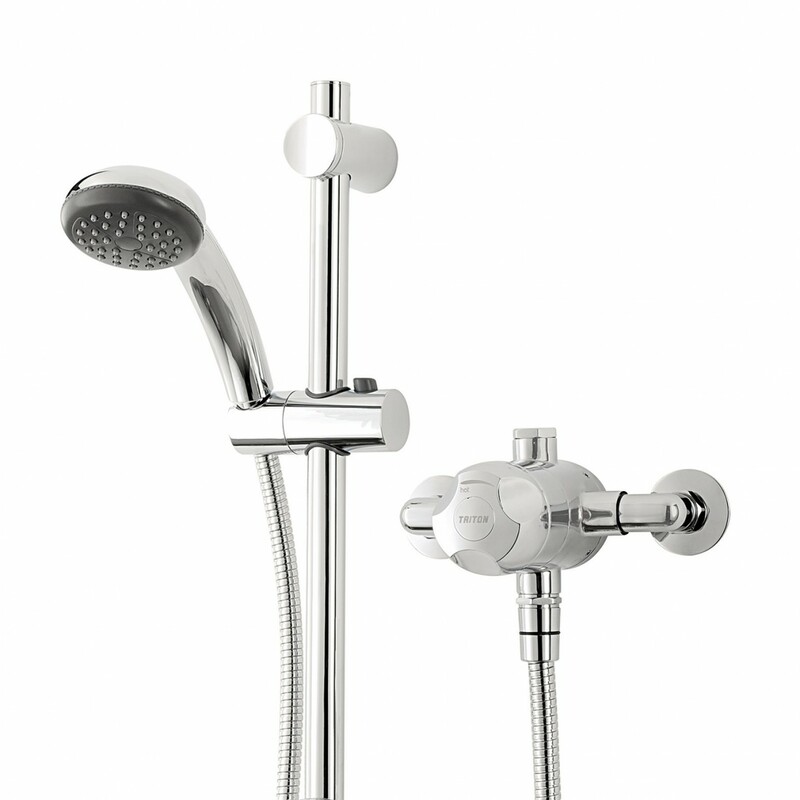 All our Triton bar and mixer showers are premium quality made in the UK.